Spring Towing & Recovery has a reputation that speaks for itself. When you peruse our 5 star Yelp reviews, you will soon discover that our customers rave about our accurate ETAs, level of safety, swift service and beyond reasonable prices. We are recognized in Harris County as the premiere towing company. 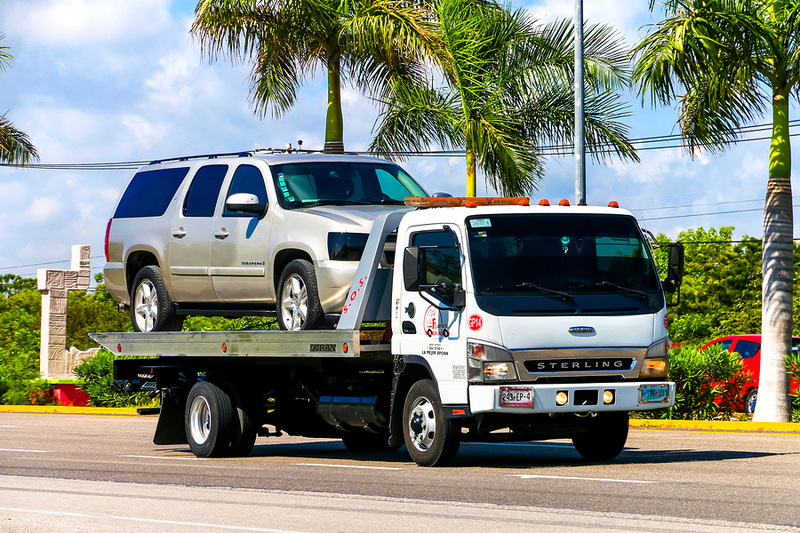 We offer a plethora of services, including junk car removal, winch outs, heavy duty towing, decking and undecking, jack knife, off road recovery, full wrecker service, roadside assistance and 24 hour towing. For a complete list of services, contact us today. Our receptionist is eagerly waiting for your call. It would be nice if emergencies occurred Monday through Friday from 9AM to 5PM, but they don’t. We have installed an on-call communications system to account for any unplanned towing scenarios. When you call, it is guaranteed that you will encounter a live person on the other end. It can be frustrating to reach out during an emergency, only to be met with an answering service or worse still, a voicemail. Rain or shine, in the dead of night or early frost of the morning, Spring Towing & Recovery will answer the call. During our regular operating business hours, the dispatcher will answer the call on the second ring and use active listening skills to determine the best action to take. The average American will own six cars during their lifetime. Some cars are traded in, others are returned to the dealership under leasing contracts, some are totaled while others rot away in a garage or backyard. These are the cars we’d be happy to remove from your property. We can ensure that they will either be donated to your favorite charity or deposited at the local junkyard. Many of our customers had a classic old car rusting away in the backyard just waiting for the right moment to be restored. Well, after 15 years, one can suspect there will never be a right moment. We can take the car off your hands and you can use that space to start a new project. The state of Texas consistently leads the nation in the number of traffic accident fatalities. The number one cause of all collisions in this state is unsafe lane changes. The number two cause is failure to control speed and the number three cause is following too closely. All of these accidents are avoidable. The likelihood that you or a family member will be involved in an accident is very high. When these unfortunate events occur, contact us. We are compassionate, reliable and swift. Your safety is our utmost concern. We will ask if you’d like to seek emergency medical attention. The tow operator will then transport the vehicle to the insurance company, auto body shop or mechanic. Law enforcement officials will typically take copious notes whenever there is an accident. Occasionally, they will reach out to us for additional information. Our tow operators have been trained to record objective notes regarding the position of all vehicles involved, condition of the vehicle, location and visible health of the customer. At no time is subjectivity a factor. Insurance claim agents will also contact us for additional information. From the moment the initial call for assistance is intercepted, a digital and audio recording is created and stored for future use. The receptionist will contact you any time either of these entities requests information.